StepBeyond Solutions Inc is the leader in Executive Search and Technical Recruiting for Electronics Manufacturers. StepBeyond.com has been the premier online EM recruiting site since 1997. Our clients are the leaders in North America and globally in Electronics Manufacturing as well as their suppliers. We serve both OEM, EMS (contract electronic manufacturers), ODM, Capital Equipment makers, Component Distributors and Makers, Logistics and Reverse Logistics and Aftermarket Services. Who do we recruit? Anyone who has a reason to step on the floor of an electronic assembly operation, C Level Executive to Technician. VentureOutsource.com “Top 100 people influencing electronics manufacturing services (EMS)” – 2012, the ‘best of’ list of the individuals who make the largest impressions. 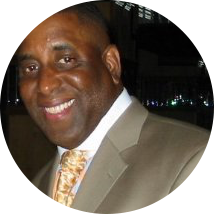 He has grown “EMSinsider #1 Global” into the largest electronics manufacturing group on LinkedIn with 41,000+ members. SMTA Member since 1992 . John has over 20 years of recruiting experience, mostly with electronics manufacturers. He founded “EMSinsider #1 Global” into the largest electronics manufacturing group on LinkedIn with 41,000+ members. ​Technical Recruiter with over 20 years, specializing in the Electronics & Manufacturing Automotive Industry. I have a very large database of quality candidates in every aspect of Automotive Manufacturing.SMT,PCB,BGA, Metal stamping, plastics, chasis, assembly, injection molding, etc… including candidates for Production, Human Resources, Engineering, Quality, Purchasing, Materials, Logistics, Accounting, and upper level Management. It is with great sadness that we must announce the passing of our friend and colleague Ken Helwig. Ken passed away suddenly and unexpectedly of an apparent heart attack. Ken was a beloved friend, "best golfer in technology in Silicon Valley", a perennial club champion, and the embodiment of a true Christian. He will be greatly missed by his vast network of friends. Ken has been in the EMS industry for over 20 years supporting customers such as Cisco, Apple, IBM and Tesla in many different Sales and Sales Support roles. He brings a wealth of knowledge and experience along with a very wide and deep network in Silicon Valley to StepBeyond. Ken’s hands-on working knowledge of the Business Development and Sales process gives him an “inside view” allowing him to not only better understand what the client is looking for but to find the candidate that will be the best fit. Ken has the unique ability to create the necessary relationships that allows this process to take place over and over again. In his free time, Ken enjoys the outdoors and golfing. Ken is known as one of the best golfers in Silicon Valley. Karl Berger has joined Step Beyond as a Business Advisor focused on creating wealth through growth. He works strategically and tactically to grow small and medium sized businesses on a fractional basis. 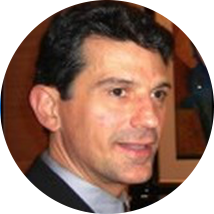 He has a 25 year experience as a CEO and Sales Executive in the EMS market. This background allows him to affordably bring a manufacturing business approach plus a proven, professional, disciplined sales process. More importantly, he enables business owners to focus ON their business. 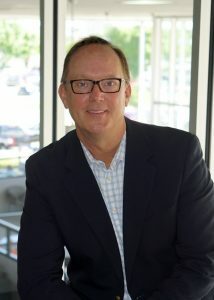 Karl is also the President of Fractional Sales Solutions and joined StepBeyond Partners earlier this year. StepBeyond Experts work hard to find the best jobs and career paths for our candidates. We are dedicated to providing the highest quality, most effective and efficient solutions to our client’s hiring needs. We never forget that its just one fee to us, but it’s your career and life! The proof is our many client and candidate relationships that are ten or even twenty years strong. The depth of industry knowledge and technical expertise of the StepBeyond team are unmatched by any competitor or talent acquisition team. Simply put, our clients can be sure that StepBeyond will deliver the best in the electronics industry quickly and effectively. StepBeyond recruiters have 50+ years Electronics Manufacturing Search experience, and 100+ years actual experience working for electronics manufacturers. StepBeyond Candidates rely on StepBeyond Experts for advice on critical business decisions. Our decades of industry experience gives our consultants crucial insights that executives need. Whether reorganizing a sales operation or making M&A decision StepBeyond Experts deliver crucial insight into best practices. If we don’t have the answer we know someone. We can connect you with industry experts that ensure your decisions are sound and actions optimal. Your resume is confidential and only accessible to StepBeyond recruiters and employees. StepBeyond Solutions Inc is the global leader in electronics manufacturing recruitment. Since 1997 StepBeyond has been trusted with C Level Retained Searches as well as Management and Staff Contingency Recruitment. “StepBeyond Experts” is our designation for our top level recruiters. Experts have a deep knowledge and wide network within the electronics industry and related technologies. StepBeyond’s Experts have almost 200 years of combined experience in electronics manufacturing either in recruiting or in EMS engineering and management directly. StepBeyond Solutions has developed proprietary systems and technical resources. Our network and techniques enable us to find the best in industry and quickly. Our clients receive the most qualified candidates in a matter of days or even hours. Many of these are “passive” candidates which will not be found with ordinary techniques. StepBeyond’s relationship and reputation means the best candidates either know us already or will be referred by our network. StepBeyond’s EMS practice understands why Contract Electronic Manufacturing is not like any other business. EMS employees are a unique breed. EMS employees know how to keep up with the customer demands, technical complexity and tight margins required to survive and thrive. Our goal is the success of our EMS clients, not simply to find another employee to fill a place. I have known John for years and worked with him regarding many different opportunities. He is persistent, but not overbearing, and he always scrutinizes all opportunities before presenting them to prospective candidates. I would recommend John’s services to anyone.